Laughed at in his day and still held up as the ultimate bad poet, William McGonagall may have been the victim of a persona he created. Was he more sinned against than sinning? One of the first books of poetry I remember from my childhood is listed in the bibliography to Norman Watson’s new life of William McGonagall, the enigmatic purveyor of bad verse to a singularly heartless generation of Victorians. It is the Moc Gonagall, a student publication from 1960, still parodying him more than eighty years after his first visitation from the muse in 1878. In it, clunking rhymes and distended metres ‘eulogise’ already-dated figures like Thor Heyerdahl and Picasso. One cartoon sums up both the pamphlet and McGonagall’s appeal: his head, lantern-jawed and quiffed in crow black, is transposed onto a bird whose clutch of eggs is hatching, each producing a mini-Gonagall as though he were a species of poetic chicken. He gapes at his progeny and the twentieth century in bewilderment. I soon moved on to his own writings in one of the editions that made Winters the Printers so much money, fronted by the portrait that MacDiarmid memorably described as, “a fish-belly face, as of something half-human struggling out of the aboriginal slime”. It was clear that his poems were both funnier and more disturbing than these juvenile skits, that McGonagall himself was more resonant in every sense than his would-be superior parodists. This biography proves it remains difficult to peer through the murk of smirking and glimpse the real figure at the heart of a particularly Dundonian darkness. Watson focuses on the written records, revealing the gap between, for instance, the poet’s own autobiographical writings, and the census and other records of the time. He also looks at the newspaper coverage of McGonagall principally in the Weekly News – one of the quartet of extremely popular papers which still stands at the heart of D. C. Thomson’s north-eastern publishing empire – and balances this against the poet’s correspondence and, illuminatingly, court records and other documentation of the period. He uncovers an amount of hitherto unseen material by and about the poet, and attempts to draw some conclusions about the essential character of a figure the world seems to have embraced as emblematic not only of bad poetry, but of all that is bad about poetry. make him an engagement, with him he could do well o’. There is ineptitude, shamelessness, and wrong-headed cunning in this self-advertisement, but it is already directed toward the promotion of a persona, the wildly overacting figure who first played Macbeth in 1859. There is a clear continuity between this Macbeth who “instead of dying…swished his sword about the ears of his adversary” and the McGonagall who delivered ‘Bannockburn’ in full highland dress while walking “majestically from side to side of the stage, making ferocious sweeps with his claymore”. The point about the McGonagall who takes up poetry in 1878 is continuity rather than conversion. Although Watson confusingly calls it a “Damascus moment”, the element of poet is being added to the base unit of tragedian, allowing him to generate original materials to set alongside Shakespeare, and create the act he describes as “an intellectual entertainment”, which he then touts around theatres, pubs, municipal halls and private dining clubs. His extraordinary, Quixotic ventures to Balmoral, London and New York display a similar combination of ‘gissajob’ chutzpah, professional cluelessness, and an actor’s eye for publicity. The evident contrast, therefore, between the berserk deadpan of his performance style and his attempts at a quiet dignity in private life, reported by numerous witnesses, should have been the lock this biography attempted to pick. But Watson’s approach, poring over minutiae like whether he was born in Ireland or lived in South Ronaldsay, pointing out the poet’s persistent slipperiness with dates, and cataloguing his frequent court appearances for bad debt or to represent his disturbed, drunken children, seems intended instead to expose the dishonest hubris of an ostentatiously moral and abstemious simpleton. This is announced from page one by a type of forced jocosity when referring to the poet. Before we acquire any overview, McG-onagall is introduced as “this broiling broth of a bard”, and his autobiography described as containing “fantasist banter”. In other words, a stereotypical presentation of McGonagall is accepted as the norm to such an extent that it need scarcely be defined as such. He has already been categorised as a rude mechanical. This depiction as merely a figure of fun hampers any attempt to present a more rounded analysis of his character. This biographer appears to have little sympathy for his subject, and even less empathy. He concedes McGonagall is apparently at his wits’ end, but a page later, when the poet is called to court because of a family brawl over one son’s confinement in a lunatic asylum, where “he believed he was dead”, he reverts to the inappropriately chirpy, “The only witness was our hero.” McGonagall’s imploding personal life has replaced an absurd Macbeth on stage with an absurdist Lear in the dock, but Watson assumes his reader will find this as amusing as a bad rhyme. Essentially, he focuses on separating facts from fancy, but does not attempt to separate fantasy from the fantasist, resorting instead to a vocabulary of projected insight when discussing McGonagall’s (or his wife’s) reactions to events. From “One can imagine young William’s shocked senses” to “Presumably mother Jean was heart-broken” there is constant usage of “may have”, “must have”, and “probably”, but, given the general insensitivity of approach, this is rarely convincing. Several areas which might have deepened our understanding of this strange phenomenon in Scottish cultural life are barely broached. For instance, how much did McG-onagall actually earn from his performances and publications, and what amount was he and his extended family earning from other sources? Although sums are mentioned throughout, no overview is provided which might give insight into the motives for what he conceived of as his literary career. Even an estimate would reveal whether exigency or obsession lay at the root of his persistence. Why did Dundee harbour such an ambivalent response to McGonagall? He appears to have been received more gently in Glasgow, Perth and Edinburgh, and to have a certain degree of support in terms of subscriptions and sympathy from some portion of Dundee’s population. But what was it about the culture of Dundee in the late nineteenth-century, its ethnic and political make-up, that meant such gleeful violence could be offered to an eccentric old man who spouted bad verse? Such a shift in emphasis might have helped, as Watson’s literary analysis isn’t always precise in determining what is bad about McGonagall’s verse. He often refers to the repetition of a phrase or rhyme as an oversight where the poet, however hamfistedly, is attempting refrain. As though assuming his readers less sharp than McGonagall, he paraphrases verses about which there could not be much if any ambiguity. He advances a version of Hamish Henderson’s argument about Irish folk tradition in which McGonagall becomes a type of rhyming journalist, though there is no evidence that the illiterate portion of his audience listened to him for news rather than for an opportunity to sock him with soot. He concludes by arguing McGonagall could have suffered from a type of autism (or possibly bipolarism), performing a dubious retro-analysis based on insensitivity to criticism and a tendency to start poems with the word “Twas”. These are, of course, traits bad actors and terrible poets might demonstrate without needing to be pathologised. The underlying issue is made clear by the response to Douglas Dunn’s 2002 remark that McGonagall should not be celebrated ‘as a poet’: “The literary elite has always found it difficult to get its collective head around this weaver poet and tragedian.” This statement simultaneously complains about and complacently accepts the premise that McGonagall is somehow outside literature. Explanations of his peculiar output, it seems to suggest, should therefore be extra- if not anti-literary, a matter for hard-headed journalists rather than elitist critics. But McGonagall is more complex than this opposition of high and low culture. His poetry may have begun in the necessity for some words for a would-be actor to declaim, but it evolved into something quite different. 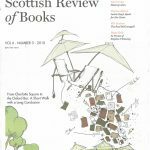 It is like the leavings of nineteenth-century Romanticism, everything the Modernists would soon want to shave off poetry – the pointless rhymes, grandiose address, laboured lyricism and bourgeois values – all swept away and dumped in one dusty old Dundonian head. He’s all stagecraft and no play, a type of the hollow man Eliot would soon dissect, finding nothing but straw, though filled with a powerful need: a desire for acknowledgement, for that respect which is now required by both the excluded from society and the lowest rungs of celebrity, a combination which we could claim first met in an explosion of flour and bad couplets in Baron Ziegler’s Circus of Varieties in the Nether-gate in 1889. What we are witness to across his career is the construction of a carapace, a cartoon-like identity, fronted by a prefigurement of the blank expression Buster Keaton would take from vaudeville to silent comedy, that eventually entraps McGonagall in a farcical and pathetic end, the product of an unwitting collusion between a limited imagination, a resentful work-force, and an imaginationless media. What we still do not know, and what this biography is incapable of telling us, is who was the man inside.